we are pleased to inform our customers that new range of polo Shirts are available now. 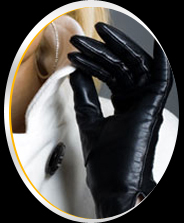 Factorial Ventures (FV) set foot in the industry in the year 2001 with an aim to provide our clients the very best to the gloves market. Mr. Khalid Javeed the founder of Factorial Ventures (FV) with the sole purpose to provide our precious customers the line gloves products range that they want on time, at a competitive price and with 100% satisfaction guaranteed. His experience of over 32 years in the field of gloves making has earned him great respect in Pakistan’s Gloves Manufacturing Community. It is due to the sheer perseverance and efforts of Mr. Bilal Khalid that (FV) today stands tall in the gloves industry. Today we feel honored to say that Factorial Ventures (FV) in this short period has emerged amongst the Top Manufacturers & Exporters of Gloves in Pakistan. This achievement may be attributed to an absolute organizational setup of all sort of Gloves Making under one roof. It may be mentioned here that all range of processes i.e. Treatment of Wet Blue Leather (in Leather) to Packaging of Gloves is being carried out under one single roof. Our product range includes full finger, Fingerless, Snowboard, Bmx, Winter, Summer, Police, Mechanic, Weightlifting, Driving, Riding, Batting, Dressing, Racing, Leather, Working, Ski, Cycling, Golf gloves. Copyright © 2010-2011 Factorial Ventures. All Rights Reserved.